Configuring Zendesk integration for Individual System Sign-On involves a few steps. Refer to the Appendix for a better understanding of the inbound interaction call flow and how to set up Virtual Contact Center channels for searching customer records. Log in to Zendesk as an administrator. Click in the bottom-left corner of the page. 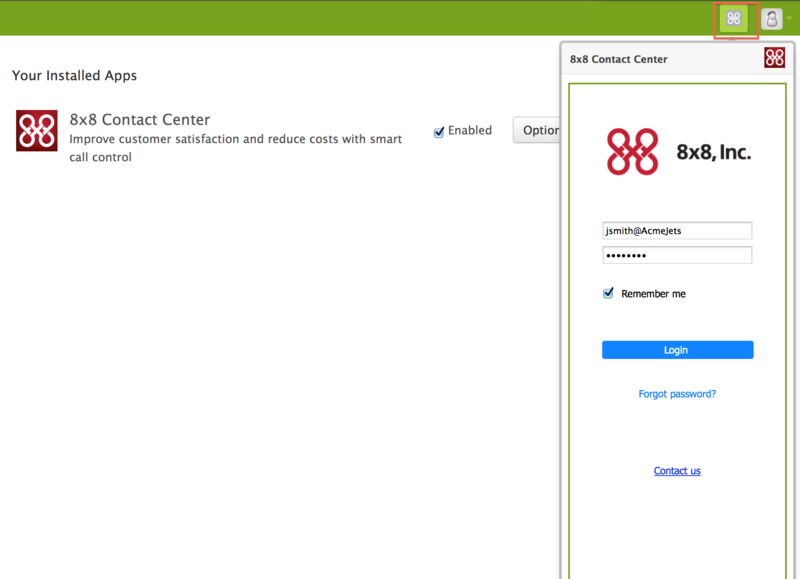 Select 8x8 Contact Center app from the list. At the prompt, enter your Virtual Contact Center tenant URL. Once the app is installed, the 8x8 app icon appears in the header bar. Select the Enable Screen Pop check box. 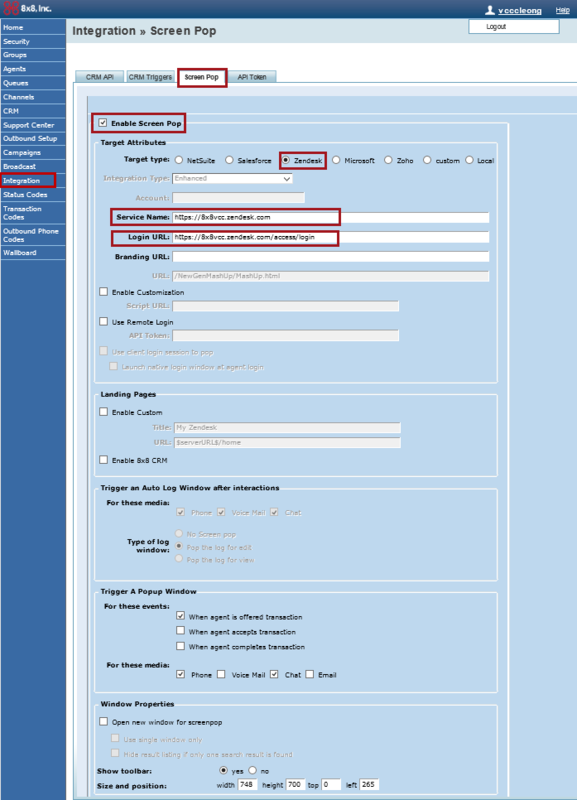 Select Zendesk as the Target Type. The service name is the web address where your help desk is hosted, as in <https://subdomain.zendesk.com>. Enter the Login URL. Append < /access/login> to the service URL, as in <https://subdomain.zendesk.com/access/login>. The screen pop applies to inbound transactions, including phone, chat, and voicemail. If the search retrieves multiple records, the screen pop lists all matches in a table, and displays the details of the first record. If the search fails to find matching records, it pops a new end user record. 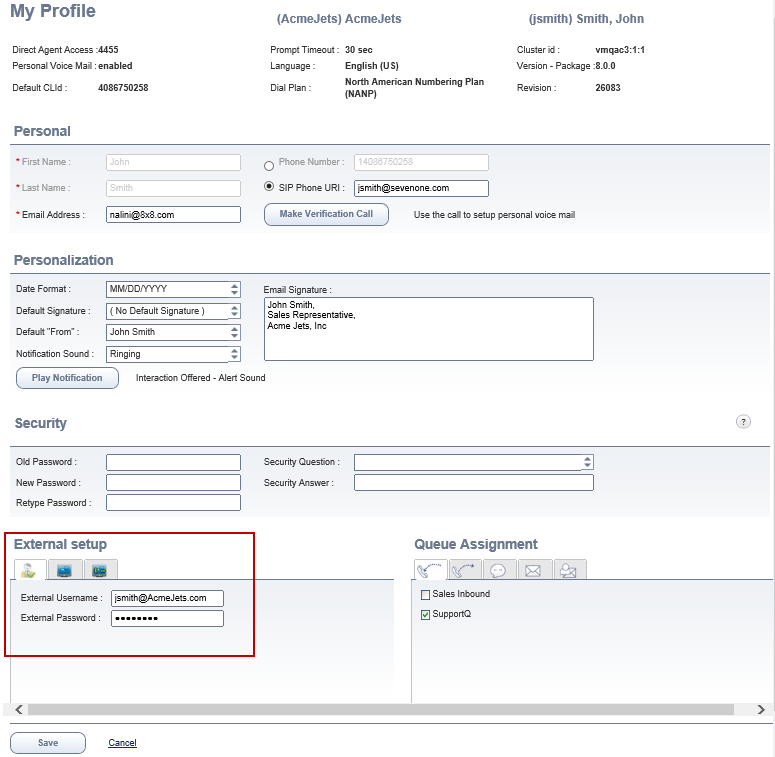 An auto log is triggered when a phone or chat interaction using 8x8 Virtual Contact Center is terminated. An auto log captures transaction details of interactions such as the call answered time, call duration, call termination time, and more in a call log. Accepting an inbound interaction triggers a new ticket. At the termination of the call, the ticket gets updated with the auto log information. Zendesk agents must log in to their Zendesk account and enable it for integration by saving their Zendesk login credentials in their Virtual Contact Center agent profile. Log in to your Zendesk agent account. Click the 8x8 app icon in the header bar to bring up Agent Console. 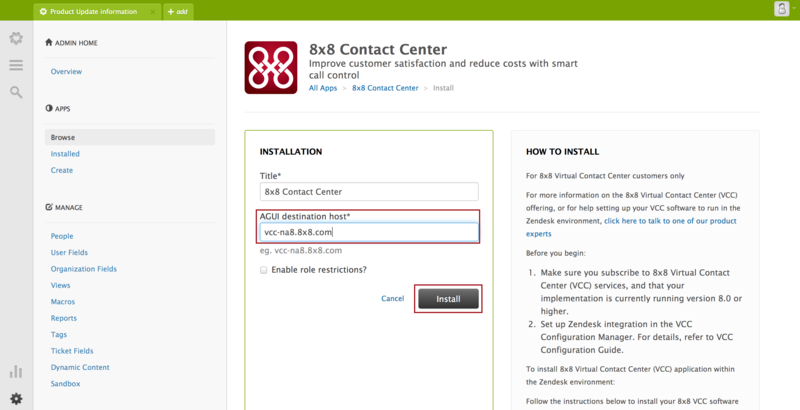 Note: To get started with the 8x8 Contact Center app, refer to the Zendesk Integration Agent Guide. Enter your credentials to log in to Agent Console. From the Control Panel menu, navigate to Profile. In the External Setup, enter the username, and the password used for logging in to your Zendesk account. Click Save to save your profile settings.